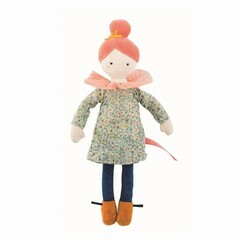 Madame Blanche Les Pariesiennes is a cuddly doll by the French manufacturer Moulin Roty. 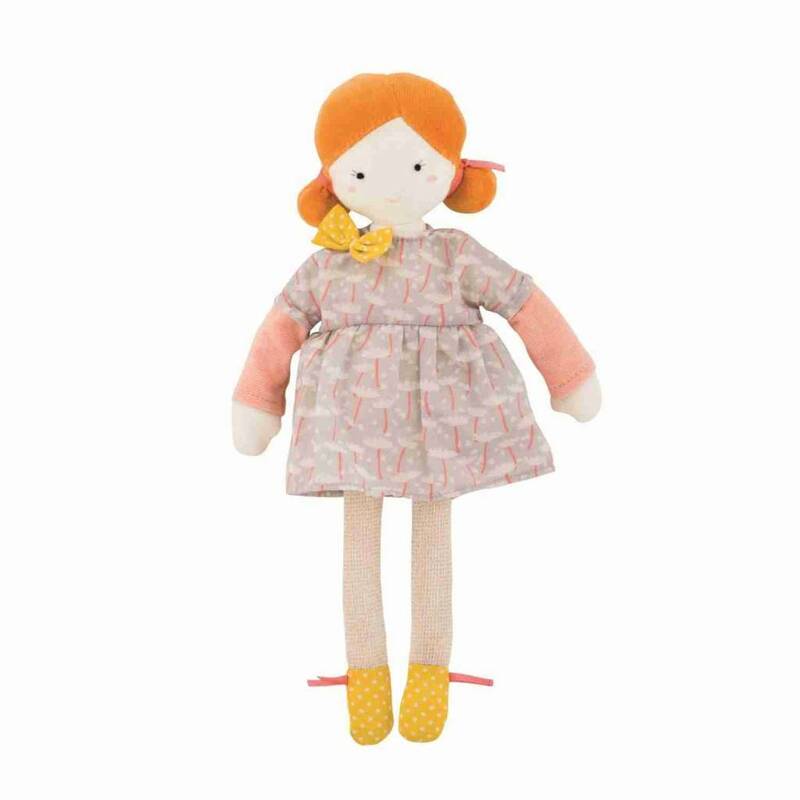 Blanche is 26cm tall and comes with a pretty dress made of 100% cotton. 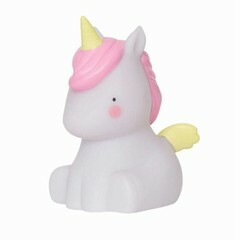 The hair and shoes from cuddly soft Nicki plush take on velvety. 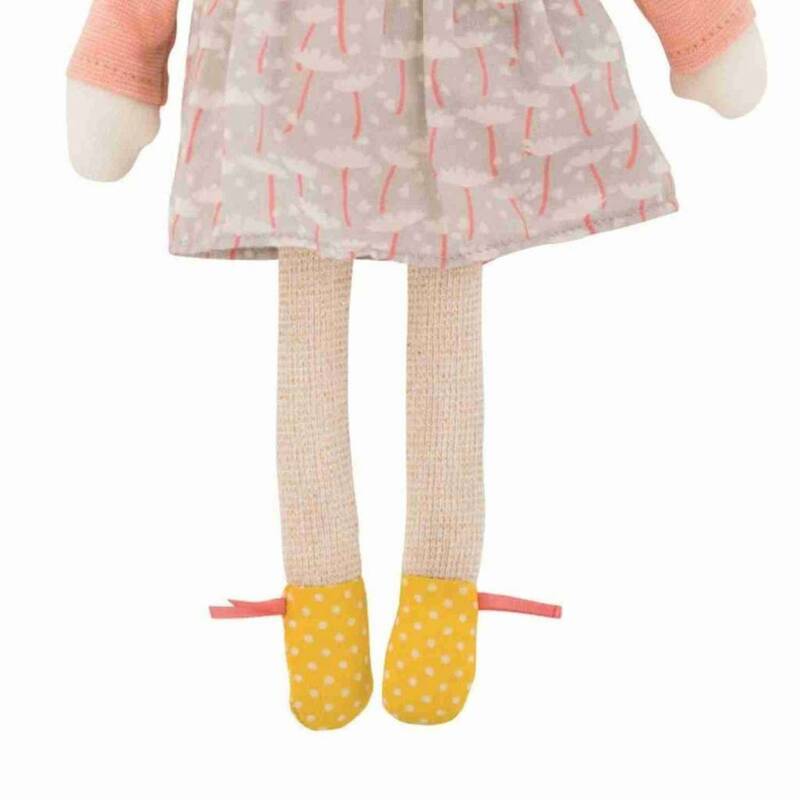 The doll has eyes embroidered and an embroidered friendly mouth. Washable at 30 ° C in the fine wash program. 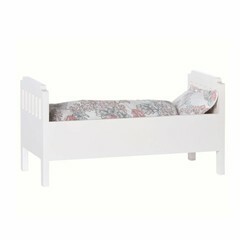 Blanche is great as a first doll and cuddly friend, especially for small children. A nice gift idea for your birthday, because the eyes will light up.